The Pokédex is a handheld electronic device which acts as a digital encyclopedia that records and retains information of the various Pokémon found in the Pokémon world. It detects information such as their name, species, typing, height, weight, and footprints among others. 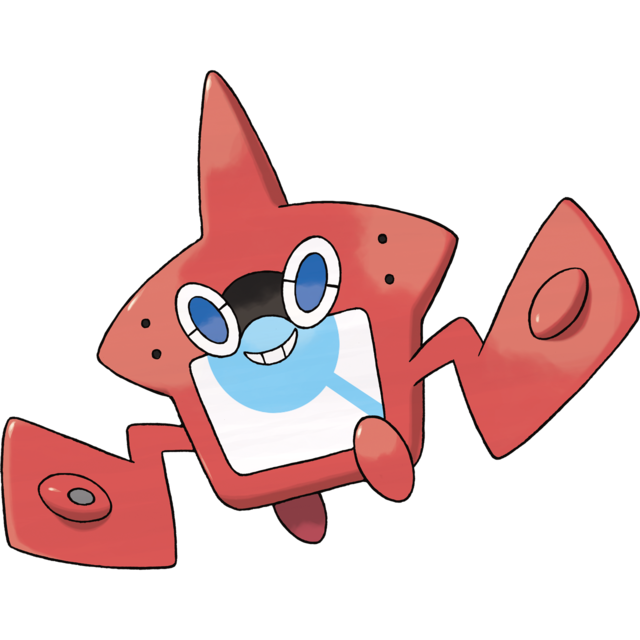 In Alola, there is a special variation of a Pokédex which is rare even in that region, known as the Rotom Pokédex (or Rotem Dex). This is a Pokédex inhabited by a Rotom, who can speak directly to the player. It will be given to you by Professor Kukui. In addition to a Pokédex's regular functions, the Rotom Pokédex has other features for you to use. 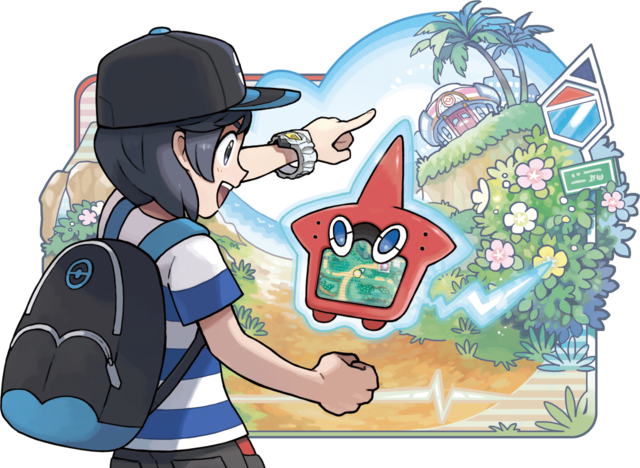 Just like its predecessors, the Rotom Pokédex contains a map of Alola so you can pinpoint your current location, as well as learn where a Pokémon lives. However, this iteration of the Pokédex will also help Trainers navigate by picking up information from conversations they have and provides suggestions on where to go next. This minigame esque function allows you to take pictures of Pokémon at certain spots, called photo spots. It is also the only part of the game that is rendered with the Nintendo 3DS system's 3D effect. Pictures taken via the Poké Finder will be evaluated afterwards. As you gets higher evaluations and takes better pictures, more features, such as the ability to zoom, will become available. With the QR Scanner you can scan QR codes corresponding to Pokémon in the Pokédex, allowing them to be registered as seen Pokémon and thus discovering that Pokémon's habitat. You can also generate QR codes of Pokémon you've caught yourself, to share with other players. Furthermore, the QR scanner is able to receive event Pokémon such as Magearna.